Bill Gates, Mark Zuckerberg and another two dozen billionaires are hoping to speed up research into clean energy with a new investing initiative to back promising technologies. The group, dubbed the Breakthrough Energy Coalition, plans to invest in everything from electricity generation and storage to transportation and energy system efficiency. But the group, which also includes Alibaba CEO Jack Ma, Amazon CEO Jeff Bezos, Hewlett Packard Enterprises CEO Meg Whitman, and SAP Chairman Hasso Plattner, hasn't yet disclosed how much capital they'll be contributing or many details about their investment selection process. Other prominent investors in the group include venture capitalists John Doerr and Vinod Khosla along with hedge fund titans Ray Dalio and Julian Robertson. 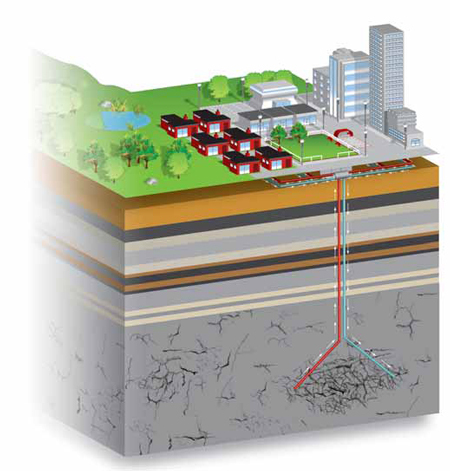 The International Center for Geothermal Research (ICGR) at GFZ Potsdam is opening a position in the project “SURE - Novel Productivity Enhancement Concept for a Sustainable Utilization of a Geothermal Resource”, funded by the European Commission - Horizon 2020 for 2+1 years. the successful candidate will perform high temperature/high pressure experiments in an MTS triaxial deformation apparatus. measurements of mechanical, thermal and hydraulic rock properties under saturated conditions as functions of temperature, pressure and effective stress will be performed. mechanical and flow tests will be conducted on both natural and artificially fractured rock samples under simulated reservoir conditions. microstructural analyses of the treated samples will be performed with optical, scanning and transmission electron microscopy. correlations for hydraulic properties of fractured samples depending on time and reservoir conditions will be obtained. Please submit your application by 31st December 2015 quoting the reference no. 96/ICGR/15 D via email to applications@gfz-potsdam.de. Please combine your application documents into a single PDF file with a size of up to 3 megabytes. If you have any questions regarding this job offer, please feel free to call Ms Kirsch at +49 (0) 331-288-28878. The November issue of the EGEC Newsletter is now available. Click here to download it. India developing a National Policy for Development of Geothermal Resources. Concessional loans for renewable energy projects in developing countries offered by Abu Dhabi and IRENA. Applications now accepted. Indonesia geothermal power producer PT Pertamina Geothermal Energy (PGE), a unit of state-owned PT Pertamina, will invest $2,5 billion to develop seven geothermal projects, that may be commissioned by 2019. By 2025, PGE targets a total geothermal capacity of 7,094.5 MW from 437 MW at present. PGE President Director Irfan Zainuddin said, the company has set aside $644 million for capital expenditure in 2016. Zainuddin elaborates that the funds to finance geothermal energy development projects come from the World Bank and Japan International Cooperation Agency (JICA). According to the Energy and Minerals Resources Ministry data, 40 per cent of geothermal reserves—potential reserves of 27 GW—and only 1.3 GW has been optimised. PGE is involved in geothermal exploration and exploitation in 15 working areas in Indonesia: Sibayak-Sinabung, Sibual-buali–Sarulla, Sungai Penuh-Sumurup, Tambang Sawah-Hululais, Lumut Balai, Waypanas-Ulubelu, Cibereum-Parabakti, Pengalengan (Patuha-Wayang Windu), Kamojang-Darajat, Karaha-Telagabodas, Dieng, Iyang-Argopuro, Tabanan-Bali, Lahendong-Tompaso and Kotamobagu. Achieving the goal of a world supplied by 100% renewable energy will require a clear understanding of how different renewable energy technologies can work together to provide reliable energy systems. This side event brings together five renewable energy technology organisations, representing solar, wind, geothermal, hydro, and bioenergy, to provide case studies and best practices of cities, regions, and countries where various high-penetration combinations of renewable energy technologies are working together. The case studies will identify practical policy, financial, and technical steps taken to achieve successful hybrid renewable energy systems. Of particular focus will be the benefits of achieving climate mitigation goals by using renewable energy for all our energy needs, as well as the benefits of access to clean energy for all, including the 1.3 billion people who currently have no access to reliable, modern-day energy services. The International Renewable Energy Alliance (REN-Alliance) is a partnership of international renewable energy organisations representing renewable energy technologies. The Alliance includes the International Solar Energy Society (ISES), the World Wind Energy Association (WWEA), the International Hydropower Association (IHA), the International Geothermal Association (IGA) - 22% of which are GRC Members, and the World Bioenergy Association (WBA). We depend on external sources of energy to fill our bellies and heat our homes. However, all energy is not created equal. Some sources of energy are renewable on a meaningful time scale, while others are non-renewable. Unfortunately, coal, natural gas, and oil – the fossil fuels we’ve been using – are running out, which will lead to higher costs of extraction and higher prices for consumers. Even if they weren’t running out, these non-renewable resources are also big polluters and not the energy sources we want to rely on for a healthy planet. In a perfect world, our energy sources would be three things: renewable, stable, and efficient. Renewable: The resource is always available or replaces itself by the time we need more. We don’t have to worry about running out. Stable: There’s no limit on how much energy we use and when we use it. The light will always come on when you flick the switch. Efficient: Energy, effort, and other resources are not wasted at any point in the process. Land is not permanently polluted, and the venture is generally profitable. If it’s not efficient, it’s not sustainable. Energy sources, such as wind, solar, tidal, nuclear fusion, and geothermal, are getting much closer to meeting these criteria than fossil fuels ever could. Let’s look at these five exciting alternative energies and learn how they can offer us a chance at a sustainable future by providing renewable, stable, efficient sources of energy. Microsoft co-founder Bill Gates will launch a multi-billion-dollar clean energy research and development initiative today, the opening day of the U.N. climate change summit in Paris (COP21), GreenWire reported Friday. Gates and a group of developing and developed countries will agree to double their research and development budgets to boost clean energy deployment and work collaboratively, according to GreenWire, an energy and climate trade publication, citing government and business officials familiar with the agreement. Access to clean energy technology will play a key role in a global agreement to combat climate change. More than 190 countries will negotiate a new pact in Paris from Nov. 30 to Dec. 11. Gates will join Indian Prime Minister Narendra Modi, U.S. President Barack Obama and French President Francois Hollande to announce Initiative Cleantech at a side event on the opening day of the two-week climate summit, according to a summit agenda released by the French government Friday. In order to help European Geothermal Energy Council (EGEC) members to prepare for COP21, a briefing note which presents the context of the event and negotiation and includes a timetable of key events and EGEC activities, has been prepared. A list of key geothermal energy events can be found below. 01/12 High Level Event on the Global Geothermal Alliance. 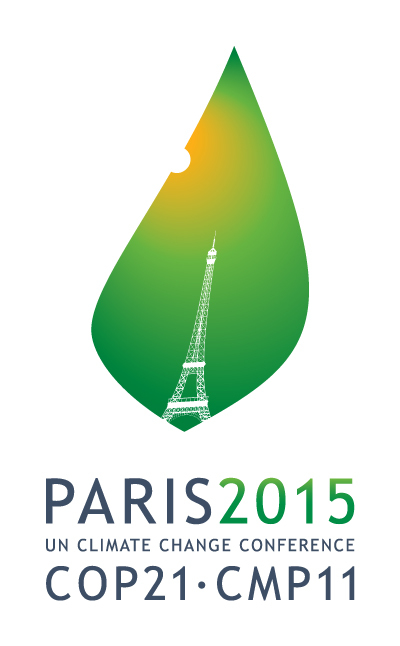 From 9:00 to 10:00 at the Peru Pavilion of the UNFCCC COP21 Conference Centre in Paris, France in Paris-le Bourget. Christian Boissavy, Board member, European Geothermal Energy Council, will give a speech. 04/12 RE track, A series of thematic workshops will focus on opportunities and benefits offered by renewables in a range of sectors. 07/12 Energy Action Day http://re-energising.org/ The IGA will be represented at this joint side event organized with the REN Alliance on ‘Renewables Working Together’. A booth is shared with the other REN Alliance partners. 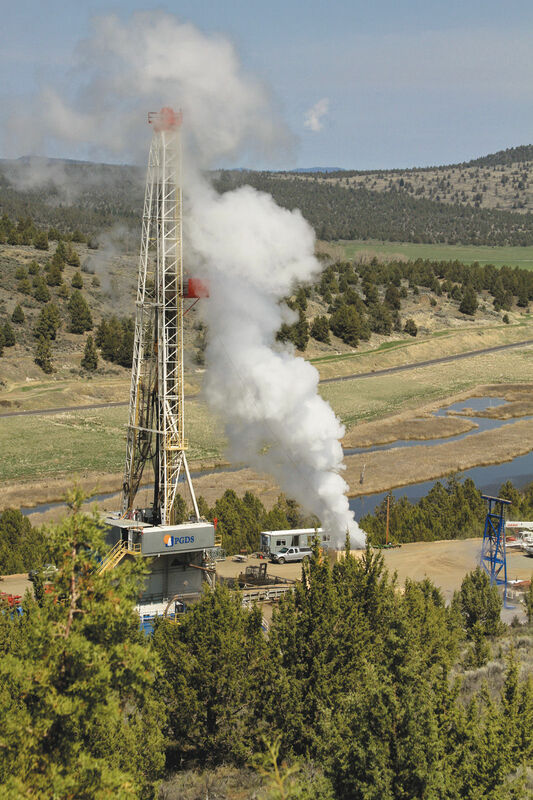 Geothermal company Klamath Basin Geopower has filed for Chapter 7 bankruptcy after building wells in the Olene area in Klamath County, Oregon, in recent years. According to court records filed Tuesday in federal court in Reno, Nevada, the company owes between $10 million and $50 million to its creditors. It must liquidate to satisfy those debts. The company currently has between $1 million and $10 million in assets said it does not anticipate being able to pay unsecured debts. In the filing, 27 creditors were listed including parent company Optim Inc., the Internal Revenue Service and the Nevada Department of Taxation, as well as a number of private parties. A meeting of creditors has been scheduled for Jan. 7, 2016, while court filings are due by Dec. 8. The geothermal plant should be operational by December 2017. Thermal Energy Partners, LLC, acting through its subsidiary Nevis Renewable Energy International, and the Nevis Electric Company Limited have signed a long-term agreement for 25 years of energy supply connected to a geothermal project on the island of Nevis. The United States has applauded what it describes as a “model” geothermal power purchase agreement in Nevis. “The Department of State applauds the November 20 signing of the 25 year power purchase agreement (PPA) between the consortium, Nevis Renewable Energy International (NREI), and the Nevis Electricity Company in St. Kitts and Nevis to develop geothermal resources,” said the department in a statement. NREI had signed a geothermal concession agreement with the NIA in September 2014 which initiated the phased process of financing, geological testing, drilling, and design and construction of a geothermal power generating station on the island. That facility is expected to generate up to 10 MWe. The Observer has learned that the NEVLEC/NREI PPA mandates a geothermal plant be operational by December 2017. Guatemala's Energy and Mines Ministry has approved a project by Geotermia Oriental de Guatemala to build a geothermal power plant which will double country’s current geothermal capacity. The Cerro Blanco project will have a capacity of 50 MW and will be located in the Jutiapa department in southern Guatemala. 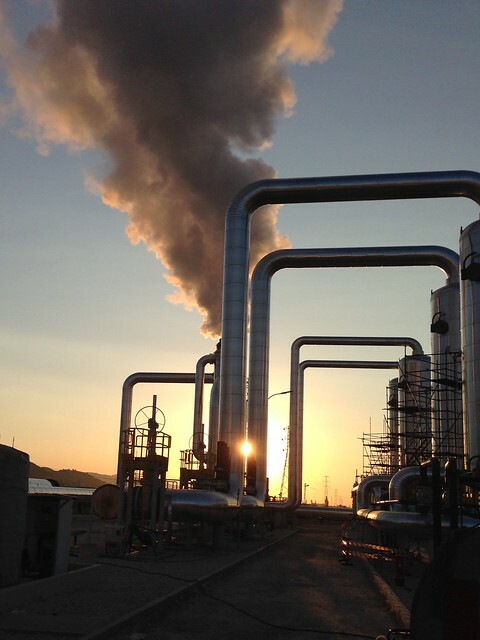 Currently, there are two geothermal plants operating in the country, Ortitlán and Zunil ,with a total capacity of 50 MW. US Geothermal has also recently announced a discovery of a commercial resource in Guatemala. The electric industry in the U.S. is undergoing significant changes for a number of reasons, including new and improved technologies, changing customer desires, low load growth in many regions, and changes in federal and state policies and regulations. A new series of reports commissioned by the U.S. Department of Energy’s Office of Electricity Delivery and Energy Reliability through Lawrence Berkeley National Laboratory’s (Berkeley Lab) Electricity Markets and Policy Group will advance the discussion by examining issues related to electric industry regulation and utility business models. The unique point-counterpoint approach sharpens the debate on trade-offs in achieving multiple objectives for the electric system, including reliability, affordability, cleaner resources and more flexibility. The reports in the Future Electric Utility Regulation series will each be written by different thought-leaders in the electric industry, while Berkeley Lab—which serves as technical editor and contributes to the report writing—manages the series. Drilling operations at Indonesia’s $1.5-billion, 330 MW Sarulla geothermal power plant are progressing “at speed,” according to Hila Gantz, spokesperson for Ormat, the facility’s designer. Sarulla, in Tapanulia Utara district, North Sumatra, will be one of the world’s biggest geothermal plants when construction is completed in 2018. Engineering, procurement and construction contractor Hyundai and drilling contractor Halliburton have reached an advanced stage in infrastructure works, according to Gantz. Halliburton, has established a number of production wells to date and is continuing with the injection wells. The gathering facilities—including pipework—for the three separate electricity-generating units and the transmission facilities connecting the units to PLN’s substation will follow. The turbines are to be supplied by Toshiba, while Ormat Technologies will supply its Ormat Energy Converters to the three units. The project will be self-operated but will benefit from technical support provided by Itochu and Kyushu for at least the initial years of operation. Medco Power President Director Fazil Alfitri says he expects Sarulla’s first phase of development of 110 MW to be completed by the middle of 2016. “We will need to drill 30 wells in total. As many as 13 of them have been drilled before [by previous developers]. Most of the 13 wells are for the first phase of development,” he explains. Portland General Electric (PGE) and the California Independent System Operator (CAISO) filed an implementation agreement with the Federal Energy Regulatory Commission (FERC), the first step in allowing the Oregon utility to share resources in the western Energy Imbalance Market (EIM). The western EIM, which includes California’s investor-owned utilities and Warren Buffett-owned PacifiCorp utilities, is expanding quickly. Nevada’s NV Energy will enter as of December 1, 2015, Washington’s Puget Sound Energy and Arizona Public Service will join next year. CAISO uses its advanced automated market systems to do 5 minute and 15 minute dispatch of the lowest-cost electricity available in its wholesale market to meet participant load serving entities’ needs when supply and demand do not match. The EIM optimizes renewables consumption by making excess generation available to the system that would otherwise be curtailed. The Ministry of New and Renewable Energy in India has sought public comments on the draft National Policy on Geo-Thermal Energy. Comments on the policy should be submitted by December 10, said an official order on the website of the Ministry. The government of India wants to deploy 1,000 MW(thermal) and 20 MW(electricity) geothermal energy capacity in the initial phase till 2022, and 10,000 MW(thermal) & 1000 MW(electricity) by 2030. The Ministry is also planning to encourage international collaboration with world leaders in geothermal energy like the USA, Philippines, Indonesia, Mexico and New Zealand for support to accelerate deployment of geothermal energy by international investment promotion. The use of geothermal power in the national mix has risen from 30 per cent last year to 39 per cent this year, making it the leading source of power in Kenya. KenGen chairman Joshua Choge said yesterday the country is doing away with the expensive thermal power generation for the clean, cheaper and reliable geothermal power. “We have already seen a reduction in the cost of power by 30 per cent due to an increase in geothermal power and we project that the prices will fall further,” he said. KenGen managing director Albert Mugo said the power generating company will be advertising a tender for the construction of the 140 MW Olkaria V and 70 MW Olkaria I power plants early next year. Budapest-based geothermal energy company PannErgy inaugurated a power supply center in Bóny, on the outskirts of Győr, northeastern Hungary, which was built as part of a HUF 10.2 billion investment project in Győr, Hungarian news agency MTI reported. 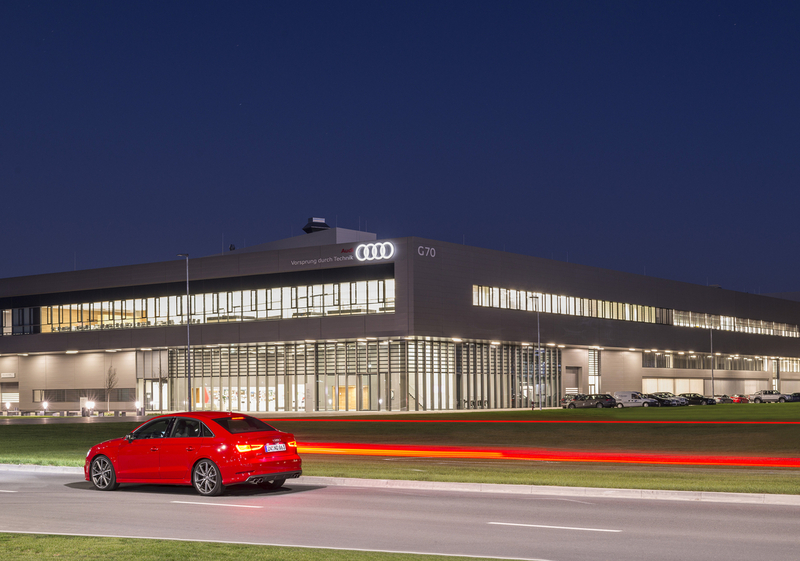 Thermal energy from the center will supply 60% of heating required by vehicle-manufacturer Audi Hungariaʼs plant in Győr as well as provide heating for 24,000 households in the city. As part of the project PannErgy built two extraction wells, two reinjection wells, a power supply center and a 17-kilometer-long pipeline, said Dénes Gyimothy, acting CEO of PannErgy, at the inauguration event. The water surfaces at about 100°C at 150 l/s with an estimated heat capacity of 52 MW. Plans have been revealed for a new geothermal on-site heat and power project to be located at the UK’s Eden project in Cornwall. The environmental complex of geodesic domes aims to develop the project in partnership with Cornwall-based EGS Energy. Planning permission for a 3-4 MW geothermal power plant is already in place. If developed, the geothermal plant would produce enough power for the Eden Project and around 4000 houses, plus heat for space and water heating using water pumped up to the surface at about 180°C. This hot water will runs through a binary cycle turbine to make electricity. Advances in engineering mean that lower temperature resources in geologically stable regions are now usable and the plant at the north end of the site will be an 'engineered geothermal system'. Eden says it is currently raising funds to proceed with the development. 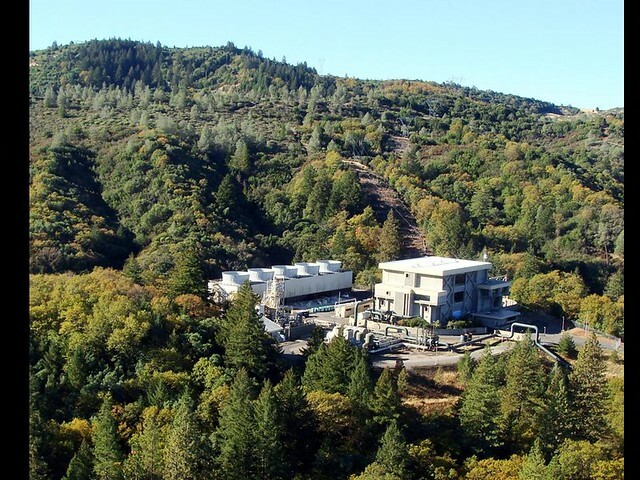 With the geothermal business in a rut, developers look to batteries and compressed air storage. Ormat Technologies, a leading geothermal developer based in Nevada, is being secretive about plans to get into the energy storage business. The company, which is dealing with a stagnating U.S. geothermal market, indicated in April that it wanted to explore other areas of business -- both geographically and technologically. Those plans will include storage. Utilization of Geothermal resources is an alternate, sustainable energy, which needs to be harnessed in India. Exploration of the resource is the first step to understand potential leads and prospects in the subsurface. An attempt has been made to understand the subsurface picture using geoscientific data, for example, Gravity survey, Landsat imagery, magnetotelluric (MT) survey and water chemistry. Dholera, Gujarat is a potential site for geothermal exploration and exploitation, which is the chosen study area. Dholera also falls under proposed Delhi Mumbai Industrial Corridor Development Corporation Limited (DMICDC), making it a suitable candidate for setting up geothermal power plant in future. The energy potential of prospects identified in Dholera through the above-mentioned studies may help industries in creating geothermal power plant and utilization of energy in space heating & district heating/cooling. Dholera is located 30 km away in southwest direction from Dhandhuka village of Ahmedabad district and 60 km away in north direction from city of Bhavnagar. Major research into whether Scotland’s old coal mines can deliver low cost heating to hundreds of homes is now underway. The Scottish Government earlier awarded around £200,000 to four projects across Scotland to research the potential of turning the thermal energy stored deep in the ground into clean electricity. An abandoned mine at Hartwood in North Lanarkshire is amongst projects being examined for the potential use of geothermal energy in Scotland. The heat is pulled out by pumps which work like fridges, concentrating heat energy from the water in the mines that is naturally warmed by the earth’s crust. It is then stored before being distributed to homes through a district heating network. SaskPower, the principal electric utility in Saskatchewan, Canada has set a target to double the percentage of renewable electricity generation capacity by 2030. The plan is to develop wind, solar and geothermal power to meet up to a 50 percent target over the next 15 years. President and CEO Mike Marsh says today is about setting the directional target and details on infrastructure still need to be sorted out. "The timing of where the wind and solar facilities will be located have yet to be worked out. That's something we will be working with the industry through competitive solicitation processes over the next 15 years." For the average household, this means adding about a dollar to each bill over the next 15 years. Amid the UAE’s celebration of Innovation Week, which kicks off Sunday, students at the Masdar Institute are working on projects to support the development of the Emirates, including drinking water made from geothermal energy. However, using this resource as a desalination method, or removing salt from water to make it potable, is under-explored. Savvina Loutatidou, 26, from Greece is trying to change that. “Solar desalination will be implemented in the UAE, but I … thought it would be interesting to know about other [methods],” said the researcher and PhD candidate at the Masdar Institute. The consumption of desalinated water in Abu Dhabi has nearly doubled over the past decade to 1,126 billion cubic metres from 667 million cubic metres, according to Statistics Centre Abu Dhabi. Yet the price associated with desalination is often high because it is an energy intensive project. The geothermal resources present in the UAE is of the low temperature kind – up to 150°C compared with up to 300°C for high “enthalpy”, resources – which means it would not be viable for power generation but more suited for direct applications such as cooling and desalination. However, geothermal in the UAE is not yet proven to be cost competitive for desalination even though there are potentially huge fuel savings compared with conventional methods. “If we can get the cost down enough to compete with other sources, then maybe it could be possible,” said Ms Loutatidou. Global climate change is one of humanity’s biggest problems, but what can we do with the CO2 that is emitted into the atmosphere? In Iceland, scientists are working on a solution. A geothermal power plant project proposing to drill geothermal wells thousands of meters deep in Yilan County received mixed criticism during the project’s environmental review yesterday, with experts saying the project is ill-planned and technically unfeasible. Headed by anti-nuclear activist and National Taiwan University professor Kao Cheng-yan (高成炎), the project proposes drilling 10 geothermal wells 6km deep in Lize (利澤) in Yilan County’s Wujie Township (五結) to set up a power plant with a capacity of 100 megawatts, which could generate about 867 million kilowatt-hours per year, making it the largest thermal power station in the nation. During the project’s geologic safety assessment meeting yesterday, in which drilling experts and interested parties were invited to participate, local business owner Chang Ping-he (張平和) said that the development could cause ground subsidence, as it would remove a large amount of soil at a geologically unstable sandy structure, adding that the developer has not communicated with local businesses and residents to clarify the risks involved. Chinese firms are ready to assist Kenya to develop its huge geothermal resources, a Chinese official said on Monday. Chinese Ambassador to Kenya Liu Xianfa told an investment conference in Nairobi that Chinese firms have the expertise required to tap into the renewable energy source. "Chinese companies are well prepared to partner with Kenyan enterprises to assist Kenya to improve geothermal power production ability," Liu said during the opening ceremony of the Second Edition of the Kenya International Investment Conference. Heat from the earth could be used to provide hot water for thousands of homes and public buildings. A growing group of people believe Havant, in Hampshire, could be sitting on a hotbed of untapped geothermal potential. The technology draws up hot water that has been heated by rocks from hundreds of metres below the ground. Southampton has been a pioneer of the technology since the 1980s and the scheme now heats a number of buildings, including Southampton Civic Centre and West Quay. Geological studies appear to show the same geothermal aquifer stretches across the south coast to Havant. Havant Friends of The Earth now plans to talk to Havant Borough Council about the potential of a feasibility study, which could be supported by EU funding. Baseload Clean Energy Partners (BCEP), a clean energy portfolio owned and operated by AltaRock Energy, today announced the acquisition of Bottle Rock Power LLC. The Bottle Rock Power Plant was originally constructed as a 55 MW dry-steam geothermal plant situated on a 350-acre site in Lake County, California. BCEP purchased the remaining equity in the plant and associated leases for an undisclosed sum from Riverstone Holdings and U.S. Renewables Group. The company plans to upgrade the existing facilities to include energy storage in an effort to better manage supply and demand on the power grid. As the cost of utility-scale solar continues to drop, it becomes an increasingly larger portion of the overall energy supply. Grid operators are already adapting to accommodate new load profiles and adding energy storage will provide a way to both curtail excess solar during the day and tailor baseload generation to better reflect real-time demand. 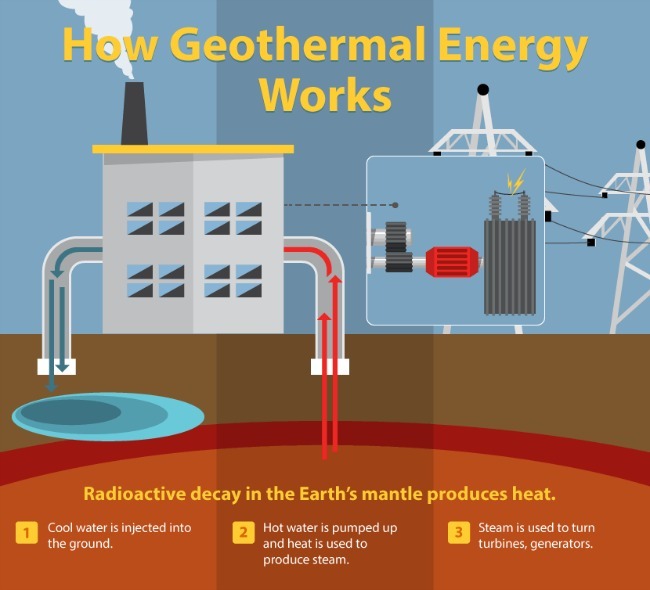 Geothermal is unique clean energy resource because it is always available and combining it with storage will pave the way for renewables to become the largest source of electric power, worldwide. Ultimately, flexible energy resources will be the key to delivering a carbon-free energy grid. This position is located in the Department of Land and Natural Resources, Engineering Division and serves as head of the Mineral Resources Section. The position is responsible for planning, directing and coordinating activities for the regulation of geothermal activities related to the exploration and development of geothermal resources, including resources assessment and protection, and environmental monitoring. The duties and responsibilities of this position include coordinating the development and implementation of plans for maintenance and disposition of state-owned or state operated geothermal wells and/or mining leases, including assessment of potential public health and safety impacts; the review of applications for geothermal well construction and mining leases; the compliance reviews of geothermal resource mining leases; and the regulatory oversight of existing geothermal operations and associated activities; and performs other related duties as assigned. Linde Gaz, owned by the German Linde Group, has finalized investments for its new carbon dioxide (CO2) production facility in Denizli in southwestern Turkey, and has brought the facility into service connected to the highly anticipated ‘Organized Greenhousing Zone’ in the region. According to gasworld Business Intelligence, the $15m investment sources raw CO2 from the nearby Zorlu Energy geothermal electricity plant, then purifies and liquefies the product. The majority of the plant’s capacity will be delivered to food and beverage clients in the region. General Electric Co. (GE) has officially moved its renewable energy business from Schenectady, New York, United States, to Paris following its $10 billion acquisition of the energy business of French conglomerate Alstom SA. GE's renewable energy business was located in Schenectady and operated under Anne McEntee until the Alstom deal closed on Nov. 2. Jérome Pécresse is the new GE Renewable Energy CEO. GE employs roughly 4,000 people at its Schenectady campus, home to GE Power, including a large GE steam turbine and generator plant. Public Infrastructure Minister, Hon. Ian Liburd capitalixed on Tuesday’s National Assembly Sitting to give an update on his administration’s pursuance of Geothermal Energy. He said based on the recently discussed plans, the Geothermal Power Plant is expected to be commissioned by 2020. “In April 2016, we anticipate the launch of Slim Hole Drilling, a phase slated for completion in approximately six months. Important to note, all this is being done at absolutely no cost to the government of St. Kitts and Nevis,” the Minister said. Just last week, Minister Liburd engaged a team from Teranov Exploration Consultants which is working on the project. The University of Bristol in west England has been awarded the Queen’s Anniversary Prize for Higher Education – the highest accolade for any academic institution – in recognition of its world-leading research in volcanology. The work of Bristol’s Volcanology Research Group has been applied across the globe to reduce a variety of risks posed by active volcanism including work that helps the geothermal energy industry. This includes monitoring the world’s forgotten volcanoes from space. Only a small number of the world’s known volcanoes are monitored from the ground so the team are developing satellite monitoring tools to identify signs of volcanic unrest. This work has been piloted using volcanoes in Ethiopia which are not monitored locally and have no risk assessment but are showing signs of activity. Data generated are also being used to help inform the geothermal energy sector, improve geothermal production and reduce the uncertainty and risk associated with geothermal energy development. The Queen will present the prestigious accolade, which is part of the UK’s national Honors system, to the University during a ceremony at Buckingham Palace next year. The latest IGA Newsletter N°101 for the period October - December 2015 is available for download. Highlights include a good overview of the 39th Annual Meeting of the GRC. Seismic surveys will help Stoke-on-Trent City Council decide the future of its multi-million pound scheme to turn hot water locked deep underground into cheap heating. The latest feasibility work on the deep geothermal District Heat Network will involve two trucks travelling from Keele across the Etruria Valley to Birches Head – using sound waves to collect key data for production of a 3-Dimensional geological model. Experts have measured the deep underground water temperature at 95 degrees Centigrade and believe heating harnessed from it could be up to 10 per cent cheaper than traditional heating systems. The plan is to pump this hot water to the surface and return it back again through a closed loop using two wells. A simple heat exchanger would extract energy during the process, passing the heat into a network of pipes for distribution to large scale premises in Hanley, Shelton and Stoke. The Philippines has more than 600 renewable energy projects for development in the pipeline, with potential capacity of over 12,000 MW including 750 MW of geothermal energy, data culled from the Department of Energy showed. The DOE data, however, did not include when these projects would be completed or commissioned, neither which companies would be doing the projects. The DOE documents showed that as of October 31, a total of 616 renewable energy projects have been approved and awarded by the agency including 43 geothermal projects with a capacity of 750 MW. Aside from these, the DOE said there are still 272 renewable energy projects that are waiting to be awarded including two geothermal. Two Icelandic geoparks have been included in a new UNESCO list recognizing “the importance of managing outstanding geological sites and landscapes in a holistic manner” – UNESCO Global Geoparks. The new branding covers 120 geoparks in 33 countries, including Katla Geopark in South Iceland and Reykjanes Geopark in South-West Iceland. According to a UNESCO press release, the new label was ratified by UNESCO Member States at the organisation’s General Conference held 3-18 November in Paris. Katla Geopark was Iceland’s first geopark and is named after the Katla volcano in South Iceland, shaped over thousands of years by the joint forces of ice and fire. Reykjanes geopark stretches over five municipalities in the South-West of Iceland and is a crucible of geothermal energy, seismic activity and tectonic movement. Italian utility Enel is set to buy back its renewables subsidiary Enel Green Power (EGP), which has been listed on the stock market for the past five years. The company yesterday said it would issue €3.1bn worth of its own shares to EGP shareholders in order to repurchase its green energy arm. Francesco Venturini, chief executive and general manager of EGP, said the move comes at the right time due to the rapid evolution of the energy sector and increasing competitiveness of renewable technologies. "Increased investment firepower, greater flexibility in capitalizing on market opportunities are just some of the many benefits to this transaction," he said in a statement. Geothermal energy provides 8% of EGP's installed capacity, 761 MW of which are located in Italy and 72 MW in the USA. The company has one geothermal energy project under construction - the 38 MW Cerro Pabellon plant in Chile. Saskatchewan Premier Brad Wall is promising a new goal of producing more than half the province’s electricity through renewable energy sources within 15 years. Wall made the announcement in response to Opposition NDP attacks of the Sask. Party government’s environmental record. Details will be released by SaskPower next week, but Wall says the goal will include increasing dependence on solar and wind power, as well as “some geothermal” by 2030. GNR interviews the Executive Director of the Geothermal Resources Council (GRC), Mr. Steve Ponder at the GRC Annual Meeting & GEA Expo 2015 in Reno, Nevada. The discussion covers everything from the international markets, to the new generation of geothermal students and professionals joining the industry. DEADLINE TO SUBMIT PROPOSALS - November 23, 2015 by 3:00 p.m. The California Energy Commission (CEC) is searching for an expert in geothermal resources to provide consultation services to the Energy R&D department at the CEC. The work would involve occasional consultation with the CEC on R&D trends and needs, and evaluation of grant requests under the EPIC program. Below is the list of topics that the CEC includes in their request for qualifications for this contract.